Most people are unhappy and sick. Moreover, their work becomes sloppy, because their heart is not into what they are currently doing; allowing themselves to fall victim of their negative thoughts. While they self-loathe and pity themselves, they start a terrible habit of comparing themselves with others, “If I had Joe Blow’s wealth, or If I had Susie’s connection’s,” I would be somebody, but I’m nobody. And I have to live with the hand I was dealt.” This is the most foolish way of thinking. We were not put on this earth so we could be like anyone else. Thank God, because it would be a dreadfully boring world. We are here to use the talents we were given to explore and share with others. You can have whatever you want. Just say it and you will be answered. The universe is ready for your order; your thoughts and all are delivered to you. 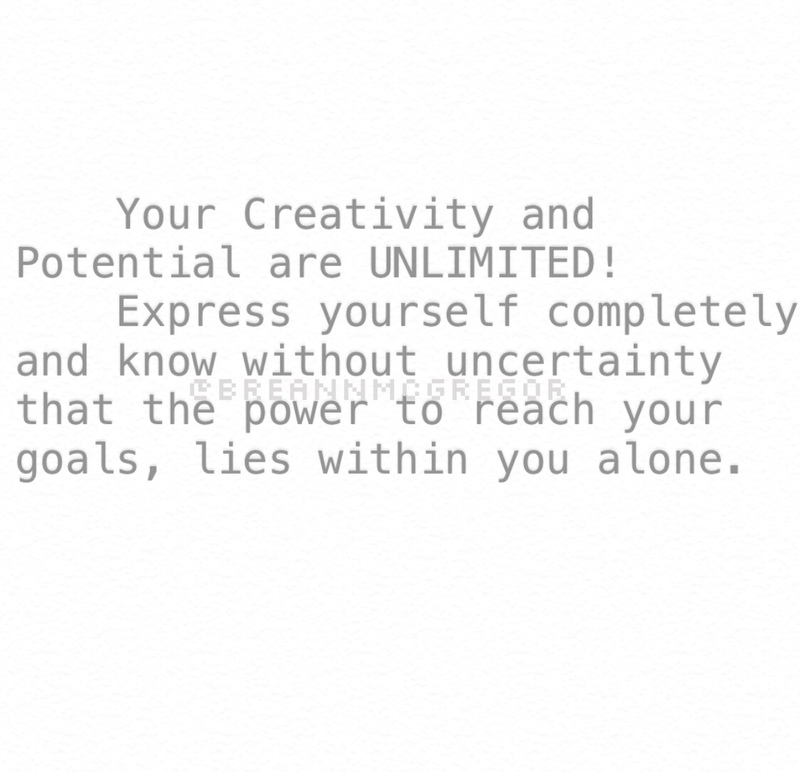 Your creativity and potential are unlimited; the only one setting you apart from getting what you want is YOU.